Welcome to the second Philosothon Project newsletter. The Philosothon project is co-ordinated by the Federation of Australasian Philosophy in Schools Associations (FAPSA) and is the result of a generous grant provided by the Templeton Religion Trust in the US to give more Australasian students opportunities to participate in Philosothons. Over the next three years a variety of grant opportunities will be made available to schools to help them promote critical, collaborative and creative thinking skills by participating in Philosothons. Other grants will be made available for academics, teachers and schools. The project prioritises the needs of remote schools and schools dealing with students from low socio-economic backgrounds but as you will see from the following there is already a great deal happening around the country with over 300 schools participating in Philosothons already. As we reveiw some aspects of the Philosothon we would like to survey all stakeholders so please take a moment to answer a few questions on the link provided. Please click here to complete a quick survey. Why not organise a Philosothon for schools near you? There is no better time to do it. Simply fill in an online application form and your school might be selected for a funding grant. Alternatively let us know that you intend to run one and we can assist you in the process. on philosothon@yahoo.com to register your interest. We will then supply you with an information and registration form. issues through such as global warming, sustainable living and socioeconomic disparity. Various ways to foster group inquiry, critical and creative thinking, and co-operative teamwork will be explored. 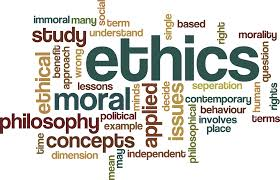 • How can we teach normative ethical theories i.e Natural Law, Virtue Ethics, Kantian Ethics and Utilitarianism in a way that fosters an ethical understanding in students? • What do these theories say about human rights issues, animal rights, environmental issues and issues around global justice? • What is a philosophical community of inquiry and how can this assist students in developing ethical understandings? • What is an Ethics Olympiad and how can it provide opportunities for students to engage with other students around the world about important ethical issues? • I need interactive and dynamic resources I can use in the classroom and share with my school colleagues. Can you help? • What is a Philosothon and how do students develop ethical understandings through involvement? The seminar will be particularly useful for teachers of English, Civics and Citizenship, Personal Development, Philosophy and Ethics, Gifted and Talented, Curriculum co-ordinators, Chaplains, Religious Education teachers, Principals, Deputy Principals and Curriculum Co-ordinators. This survey is for teachers, judges and facilitators that have participated in Philosothons. Western Australian Primary School Philosothon The first WA Primary School Philosothon was held in 2013. Taunton-The first UK Philosothons are planned for 2013/14. Contact Father Mark Smith - MASmith@kings-taunton.co.uk orJulie Arliss - juliearliss@btopenworld.com or Dr Michael Lacewing - m.lacewing@heythrop.ac.uk Click here for the UK Philosothon Website. Click here if you are not currently registered and would like to participate in a Philosothon. Click here if you would like to host a Philosothon. The biennial FAPSA Conference will be held in beautiful, historic Fremantle, Western Australia at The University of Notre Dame Australia July 9 - 11, 2018. The Conference theme asks: What is the Future of Philosophy in Schools? Practitioner Expert Peter Worley CEO & Co-founder The Philosophy Foundation (UK) will demonstrate best practice alongside other facilitators of P4C for early childhood, primary and high school aged students. Peter will run a PD session with teachers at a one-day In Action Day held at Hale school on Monday 9 July 2018. Professor Michael Hand is Professor of Philosophy of Education at the University of Birmingham (UK). He works in the areas of moral, political, religious and philosophical education. His books include A Theory of Moral Education (Routledge, 2017), Patriotism in Schools (Wiley, 2011), Philosophy in Schools (Bloomsbury, 2008) and Is Religious Education Possible? (Bloomsbury, 2006). Authors of accepted conference papers are invited to submit their completed papers for review to FAPSA’s official journal, the Journal of Philosophy in Schools (JPS) ISSN 2204-2482 http://www.ojs.unisa.edu.au/index.php/jps/index which will publish a special conference issue: Vol 6 Issue 1 April/May 2019. The journal welcomes submissions which interrogate theoretical and conceptual understandings as well as those which draw on original empirical research within the field. Queries may be emailed to laura.dolimpio@nd.edu.au. Contact: Project co-ordinator Mr Matthew Wills (e) matwills59@hotmail.com | Ph: +61 (0)400 029 660 | FAPSA Website: http://fapsa.org.au/ This project was made possible through the support of a grant from Templeton Religion Trust. The opinions expressed in this publication are those of the author(s) and do not necessarily reflect the views of Templeton Religion Trust.